Rain changed our plans Wednesday, and an unexpected entire day home was the perfect excuse to try a new cookie recipe. My son is a big fan of peanut butter; he even eats it by the spoonful. 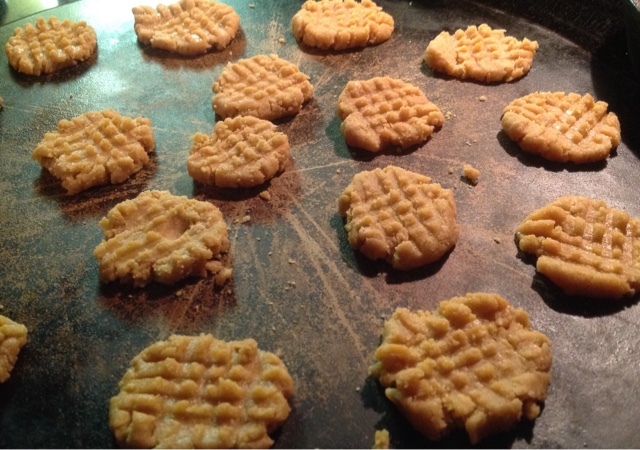 When he saw Betty Crocker's 24 Days of Cookies, he let me know the sweet treet that he'd like to try the Peanut Butter Truffle Cookie recipe from day 2. When I realized that cookies were baked before the truffles were made, it was the perfect excuse to turn half of the dough into another family favorite. 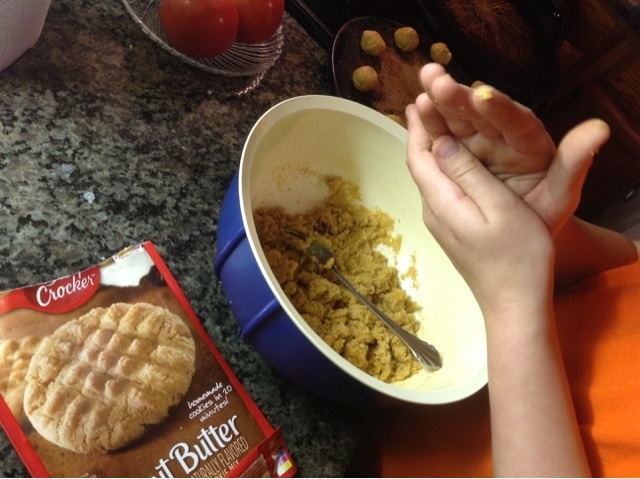 Classic Peanut Butter Blossom Cookies were even easier using Betty Crocker's bagged cookie mix. (Find them on sale now and click for coupons from Bi-Lo and Winn Dixie.) The melted chocolate and hot cookie are so good right when they are made. It's a wonder that there were any left to take to the party. For the truffles, the instructions were to first bake them according to the instructions on the bag. Do you know the secret to that design? Just press the balls with the tines of a fork in two directions. Simple! Today we will turn what remains of those delicious cookies into chocolate covered truffles. I'm pretty sure we will be making a few more batches. These look yummy, too! 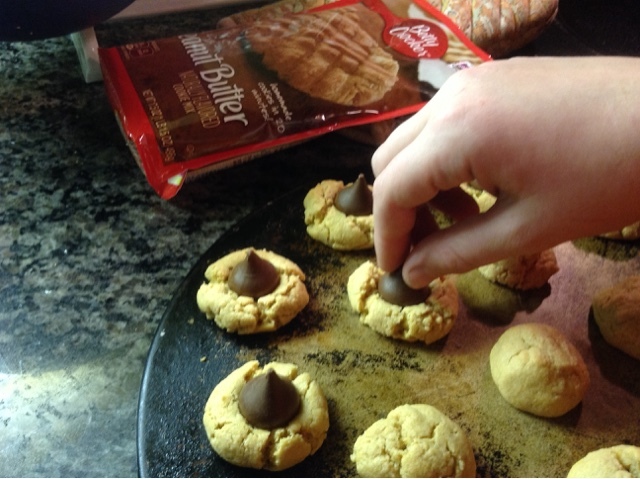 I love PB Kisses cookies.